TSPSC Degree & Junior College Lecturers Preliminary Exam Rescheduled to 30-07-2017: Telangana State Public Service Commission (TSPSC) issued the official notification for various posts in Degree and Junior College Lecturers. The preliminary test will be held on 30th July. The screening test of Degree and Junior College recruitment has been postponed due to Bonalu festival. The TSPSC has released notification for various posts include College Lecturers, Physical Director and Librarian in degree and junior colleges. “The candidates who applied for the posts of Degree College Lecturers (Notfn. No.22/2017),Physical Director in Degree Colleges (Notfn. No 23/2017), Librarian in Degree Colleges (Notfn. No 24/2017), Principals in Junior Colleges (Notfn. No 25/2017), Physical Director in Junior Colleges (Notfn. No 26/2017), Junior Lecturers (Notfn. No 27/2017), Librarian in Junior Colleges (Notfn. No 28/2017) and Principal Schools (Notfn. No 29/2017) are hereby informed that, the Preliminary Examination (Screening Test) is rescheduled to Dt: 30/07/2017 due to Bonalu festival in Hyderabad,” said the statement from TSPSC. 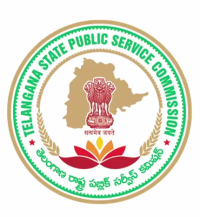 The Telangana PSC has released the notification for various posts, Degree College Lecturers, Physical Director in Degree Colleges, Librarian in Degree Colleges, Principals in Junior Colleges, Physical Director in Junior Colleges, Junior Lecturers, Librarian in Junior Colleges, and Principal Schools. Candidates will be selected through the screening test. Candidates can refer the above notifications from the Telangana PSC Official website to check the details of eligibility criteria, application fee, application process, selection process, pay scale, and other details. Interested aspirants can apply through TSPSC Official website, tspsc.gov.in on or before 5th July 2017. Candidates can visit the official website to download the TSPSC Degree and Junior Collages posts notification 2017 and to apply online.